Terry Lee Maddox, age 64 of Shawneetown, passed on this life July 11, 2018 in the St. Louis University Hospital in St. Louis, MO. She was born on April 22, 1954. She was a CNA in nursing homes most of her last life and loved the profession very much. She loved all classic rock radio and enjoyed Mark Walburg movies. Her sidekick was her dog Gizmo whom she adored. Always had a cup of coffee in her hand and enjoyed company, especially her friends and family. She had a big heart and will be missed by many. 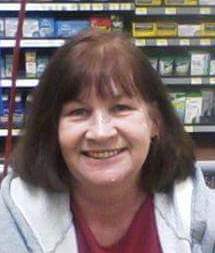 Terry is survived by her son, Michael Bonneville of Granite City, IL, 2 daughters, Stephanie Glover of Smithland KY and Kelsie Maddox of St. Louis, MO. Her grandchildren, Logan Glover, Jacob Minnick, Zeth McBride and Dakota McBride. She was preceded in death by her mother Roena Smith.